Let our family serve yours!! Q's Quik Smog was started by a Husband and Wife duo back in 2007. We are a family owned business that loves to serve the local area. 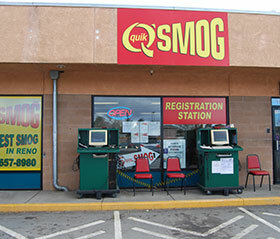 Q's Quik Smog has two smog check and registration renewal stations in the Northern Nevada community. One in west Reno and one in central Reno. We know that smog checks and registrations for your vehicle can be a stressful process. Our professional services will relieve your stress and replace it with a smile! Not only do we offer smog checks in Reno with fast and friendly service. 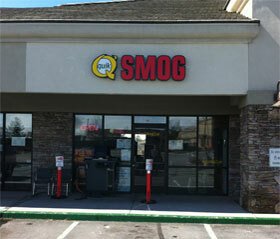 Q's Quik Smog now has a $19.99 coupon on our coupons page which is good at all locations. We know that our service is worth every penny but, with our coupon, you're saving dollars! Please present your smog coupon on your phone or a printed version before we start your smog check. We have inspection stations that smog all makes and models of gas vehicles only! The average smog and registration time is approximately 5 minutes or less. Q's Quik Smog is your premier company when looking for your smog and registraion needs in Reno and Sparks. We look forward to seeing you on your next visit!